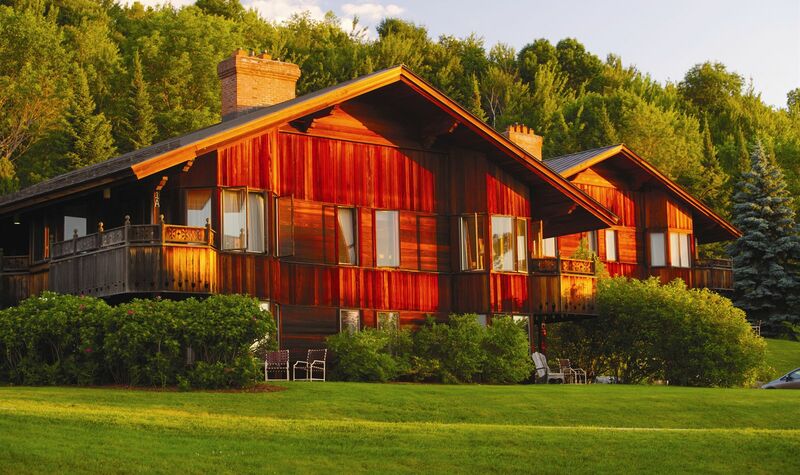 The Trapp Family Lodge in Stowe has been an iconic feature of the Vermont landscape for more than half a century. 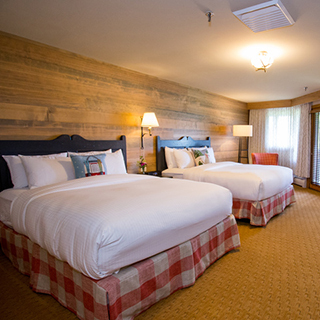 What was originally the home of the von Trapp family has evolved over the years into today’s lodging options, including 96 rooms in our rustic, Austrian-style Main Lodge. 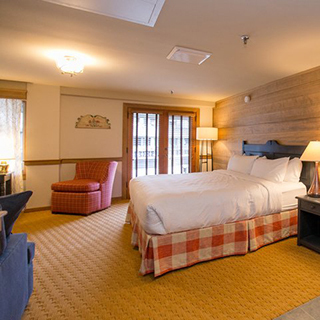 Choose from one-room Studio Suites or opt for more space with our One- and Two-Bedroom Family Suites, all of which feature charming, old-world furnishings and décor, complimentary high-speed Wi-Fi throughout the Lodge, and access to a long list of indoor and outdoor resort amenities, including all sorts of trails. These beautiful rooms feature one king bed and mountain views. Most Deluxe rooms have a shared balcony. These rooms cannot fit a rollaway bed. 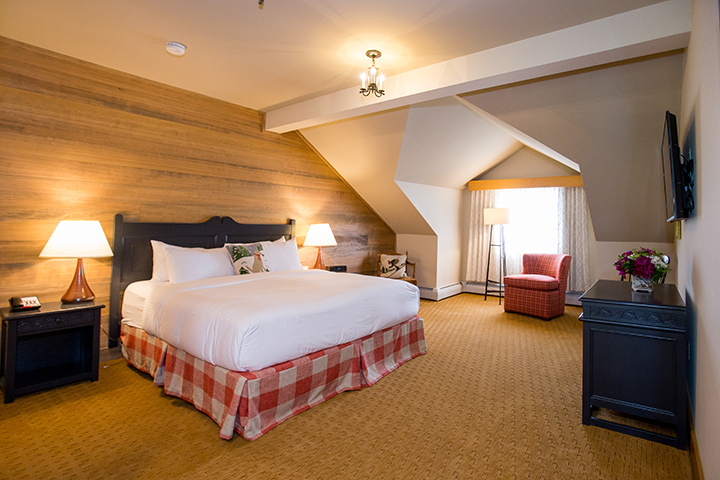 These guest rooms feature either one king or two queen beds and mountain views. 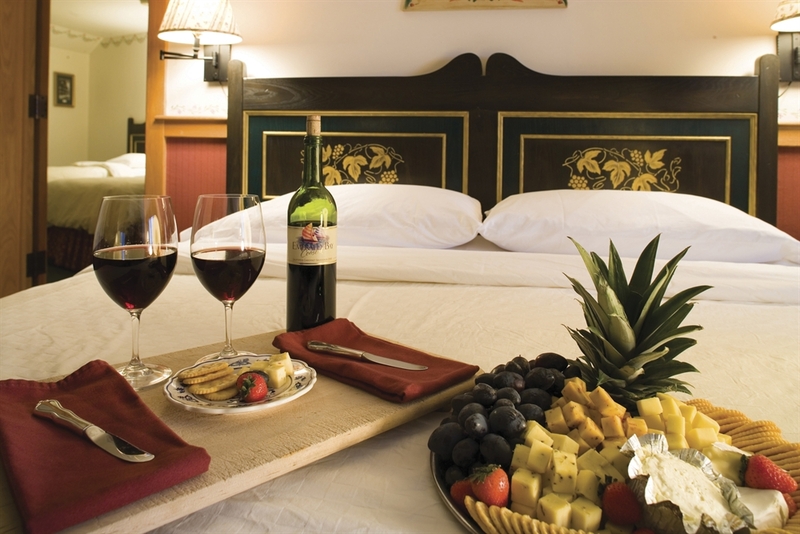 Most Deluxe rooms have a private or shared balcony. Accessible rooms have larger doorways and grab bars in the bathtub. Shower chairs available. Rooms with two beds cannot fit a rollaway bed. This room is 350 sq. ft. 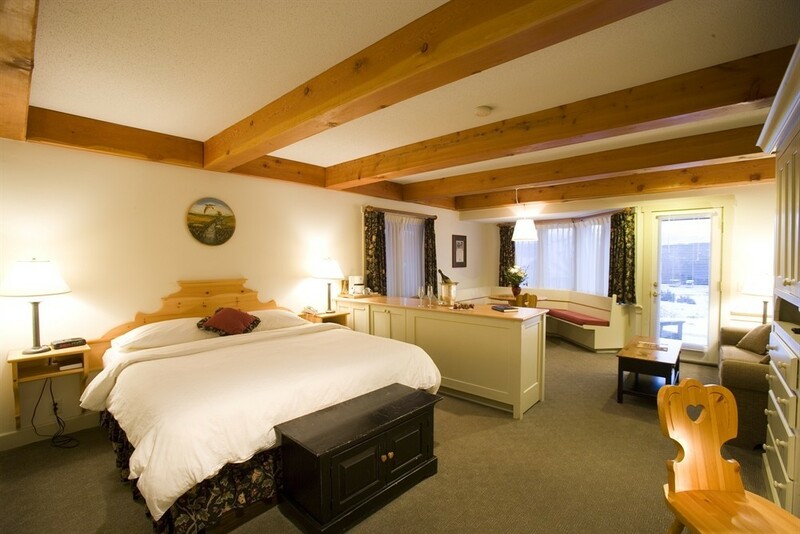 These beautiful rooms include two queen size beds, and feature mountain views. Most rooms have a private or shared balcony or patio. These rooms cannot fit a rollaway bed. 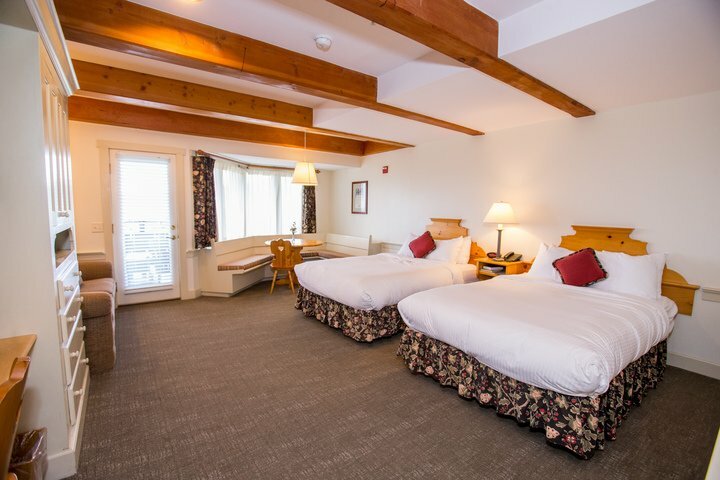 These large rooms include one king size bed and one queen size sleeper sofa, and feature mountain views. Most rooms have a private or shared balcony or patio. Premier King rooms feature one king bed and a queen size sleeper sofa. They have either a balcony with mountain views or a patio with orchard views. Premier Queen rooms feature two queen size beds. They have either a balcony with mountain views or a patio with orchard views. Rollaway beds are not allowed in these rooms. The One Bedroom Suite features a king bed in a separate bedroom and a living room with a queen size sleeper sofa. This large suite, with a staircase entrance, features two separate bedrooms, one bathroom and a living room. 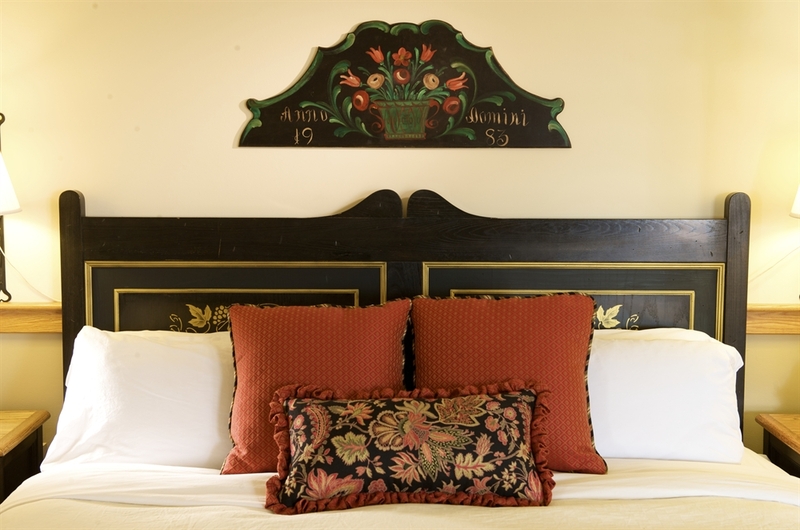 Each bedroom has one king size bed and the living room features a queen size sleeper sofa. The Family Suites feature a master bedroom with a king size bed and a second bedroom with either two twin beds or two full size beds. These suites do not have an additional seating area and require a short flight of stairs. 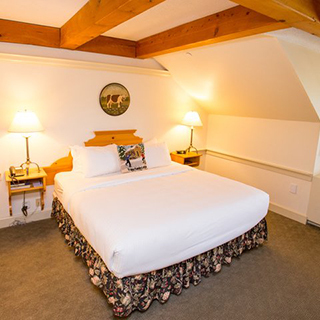 The Family Suites can accommodate a rollaway bed in the master bedroom only. 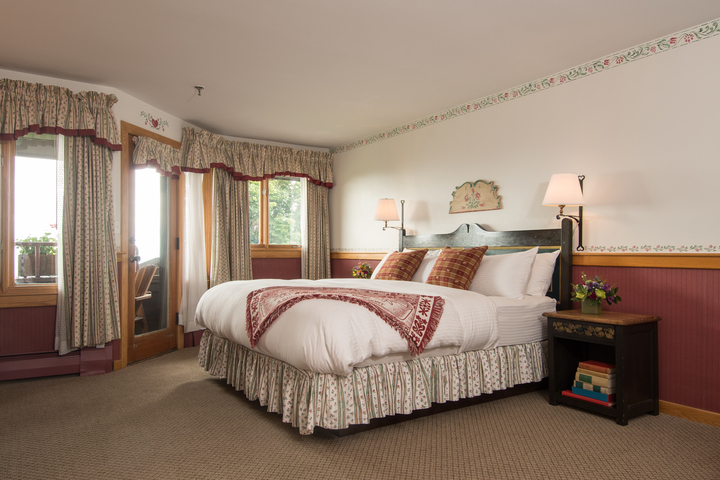 The von Trapp Suite is our largest suite featuring a king bed in a separate bedroom and a large bathroom with whirlpool tub. The living room has a fireplace, queen size sleeper sofa and half bath. 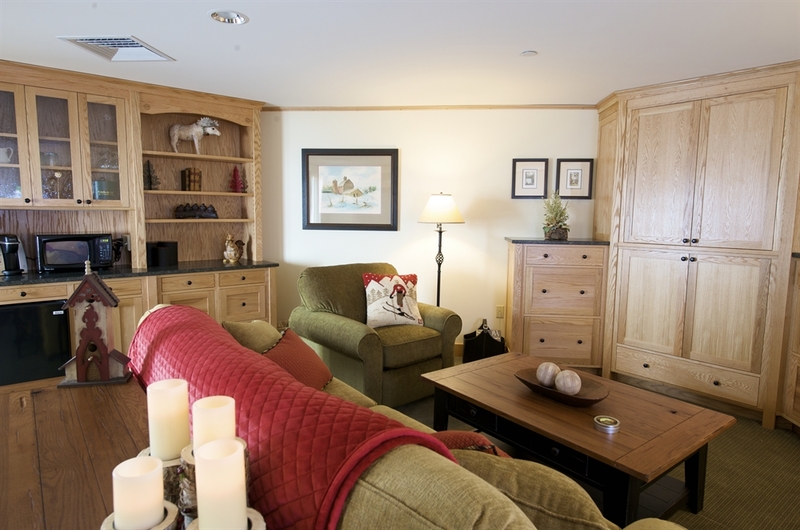 This suite also includes a large balcony with mountain views and a wet bar with refrigerator. The Salzburg Suite features a king size bed, sitting area with queen size sleeper sofa and large bathroom with whirlpool tub. This room also includes a refrigerator and patio with beautiful mountain views. This room cannot fit a rollaway bed. 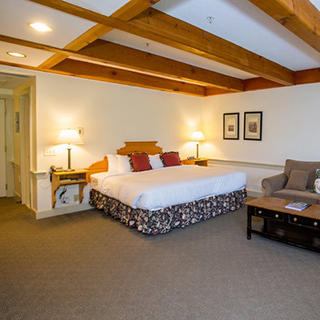 The Mountain Suite features a master bedroom with a king size bed and a spacious living room with a queen size sleeper sofa. This suite has a large strolling balcony with mountain views and a refrigerator. 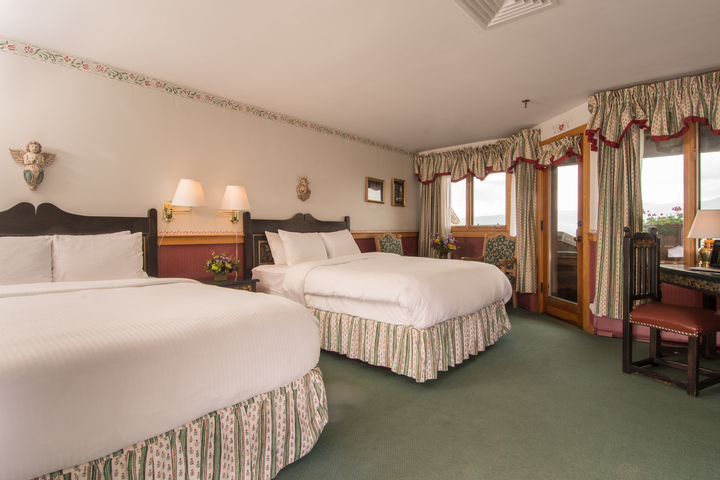 The Tyrol Suite features a king bed, sitting area with queen size sleeper sofa, large bathroom with whirlpool tub, and balcony with orchard views. These suites also include a wet bar with refrigerator and most have either a wood burning fireplace or wood stove. Rollaway beds cannot fit in this room. 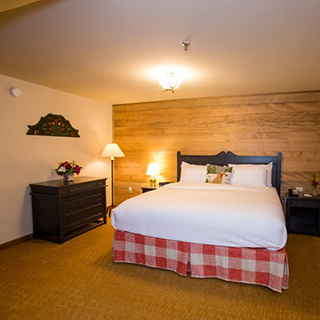 The Austria Suite features a bedroom with king size bed and bathroom with whirlpool tub and separate shower. 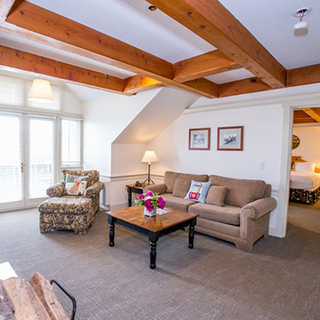 This suite also includes a living room with wood burning fireplace or woodstove, queen size sleeper sofa, half bathroom, wet bar with refrigerator and a private balcony with mountain views. An advance deposit equal to one night’s room and tax is required at the time of booking to guarantee your reservation. Reservations cancelled 14 or more days prior to arrival will receive a refund of the deposit less $20, which is non-refundable at time of booking. Reservations cancelled within 14 days of arrival will forfeit the deposit in full. Holiday Reservations: An advance deposit equal to one night’s room and tax is required at the time of booking to guarantee your reservation. Reservations cancelled prior to November 1st will receive a refund of the deposit less $20, which is non-refundable at tie of booking. Reservations cancelled after November 1st will forfeit the first night’s deposit. On December 1st the remaining balance of the reservation is due and the reservation will be non-refundable. Special Promotions: Some special promotions require full prepayment and are non-refundable at time of booking or require 30 day cancellation notice. Please refer to the Reservations department with any questions.